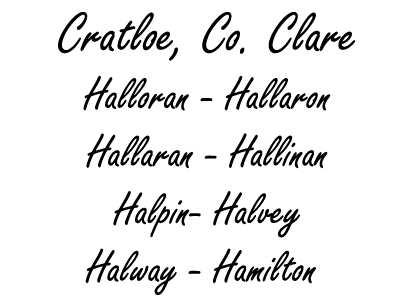 Baptisms with the Surname Halloran/Hallaron/Hallaran/Hallinan/Halpin/Halvey/Halway/Hamilton in Cratloe, Co. Clare in the Diocese of Limerick. 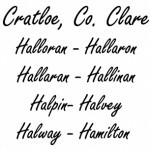 The following are baptisms with the Surname Halloran/Hallaron/Hallaran/Hallinan/Halpin/Halvey/Halway/Hamilton recorded in in Cratloe, Co. Clare. 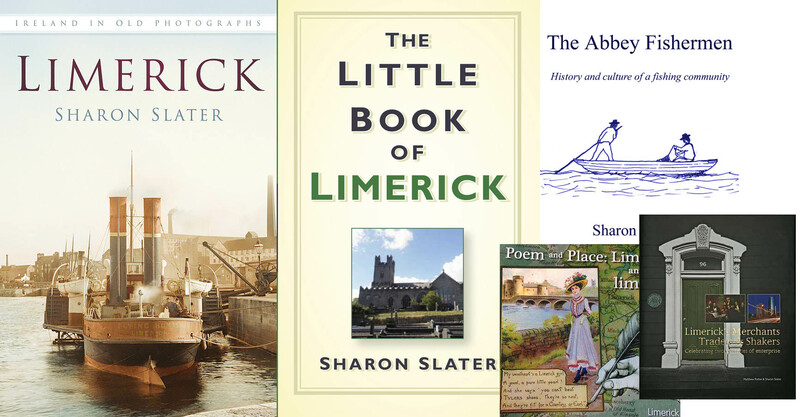 Although Cratloe is in Countt Clare it is in the Dioceses of Limerick. With thanks to John and Pam Walton, Australia.